With unemployment rates coming down slightly from their peak in the great recession, many folks are still looking for a great place to rebound in their careers. And there has also been some talk in Washington about how to retrain our workforce. Also, with the unemployment benefits running out for many people out there now is the time they need to quickly re-evaluate their employment solution. This is where trucking comes in. The trucking industry is in need of drivers as many companies are expanding their fleets as seen in this article in Today’s Trucking News. 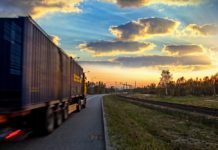 According to this article many trucking companies are looking to expand capacity and increase their drivers. They are also looking to pay the drivers more as well. This is due to the new trucking Hours of Service Rules that were put in place in July 2013. Even though entering the trucking industry wouldn’t be preferable for many of our unemployed, I would encourage some of them to take advantage of the situation available to them right now. We covered some excellent ways to get your schooling paid for so you have no out of pocket costs in our eBooks. And also, there’s programs for young adults that haven’t gotten a high school diploma in the New Jersey Area. These programs are highlighted in this article in The Paramus Post. This article by Mel Fabrikant goes on to talk about a program in New Jersey that is helping to develop their workforce by giving folks not only a GED, but also a CDL as well. This program will be taught through a local community college and looks to be a promising solution to a major problem, which is an unskilled workforce. There’s been rumblings in Washington D.C. lately about attaching some kind of employment training to the unemployment insurance that people receive if they have lost their job. I couldn’t agree more with this idea. I know that some people just sit on the unemployment until they can find a job that offers the wage that they lost. Well, unfortunately the reason that these people have lost their jobs is because they were generally one of the higher paid people in their particular job. The company is looking to cut costs and now they find themselves without a job. So is it practical or productive to let these folks sit on unemployment to find a job that pays the same as the one they left? I think not and generally what ends up happening is that they enter the long-term unemployed group. This is bad for them and the economy because the studies have shown that once you go past 6 months without finding a new job your chances of finding one in the future drop dramatically. And all the increases in time that we have had to the unemployment insurance is hindering our economy’s recovery. So if you sick and tired of being unemployed and are looking for a good job, check out the trucking industry! The trucking industry has many positives to it. It also does come with it’s share of negatives, however doesn’t every job? Right now the trucking industry is growing leaps and bounds. And as our economy recovers more and more, it will only increase! Don’t just take my word for it. Go check out the articles I referenced! 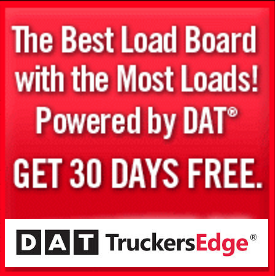 The good news is everywhere for the trucking industry! 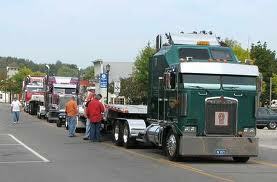 Just make sure that if you are going to enter into the trucking industry that you start your career out right. May sure you do your research. Make sure you know what you are getting into. And quite possibly, you could just the income and time that you have to go to school online from the road. 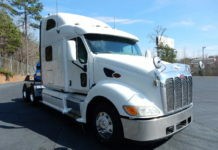 This way you can be bringing in money and increasing your stock outside of the trucking world. That way if you plan on only doing it for a few years you can go back to the white collar job. Although, I have heard this story before and it’s always from a 25 year veteran of the road. They were only going to do it for 2 years and that was 25 years ago. You never know, you may just love it!